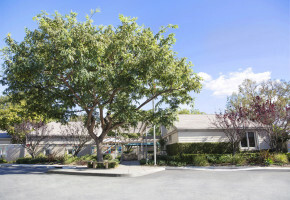 Situated across an acre of land along the borders of Newport Beach, Newport Coast and Irvine – and freeway close – Newport Coast Preschool is conveniently located for many Orange County residents. Our innovative school was built after touring dozens of facilities and researching the best indoor and outdoor spaces for preschoolers. 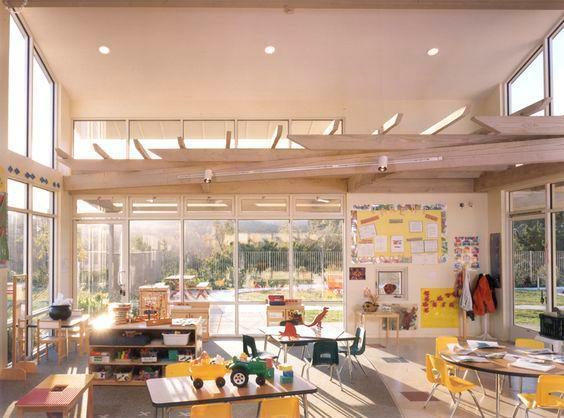 The classrooms boast 16-foot ceilings and walls that consist of expansive windows, providing an abundance of natural light and rendering artificial light almost unnecessary. Furnishings are child-sized and well-kept. Classrooms are stocked with an abundance of materials to foster children’s natural curiosity and allow for separate learning areas. 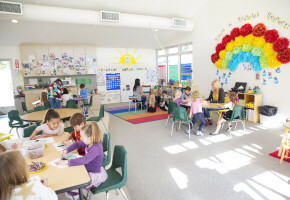 Bathrooms can be found with preschooler-sized toilets and sinks conveniently located within each classroom. 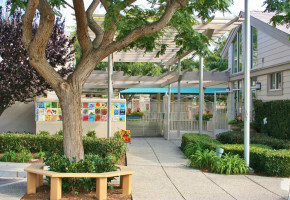 Small, individual enclosed patios are located off each classroom for additional space and activities. All classrooms look out onto one of three large outdoor spaces. 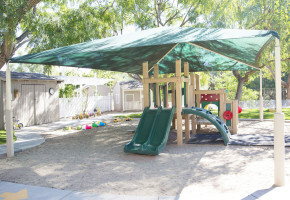 The playgrounds consist two climbing structures, large areas of sand for digging, two bike paths complete with trikes, scooters and balance bikes, three playhouses, two sensory stations, a covered Art Pavilion and a large grass area. The three separate play areas afford us the ability to offer open free-flow play or, by closing one or two areas, to make the outdoor space an appropriate size for the number and age of the children playing in it. Teachers supervise the entire area by both sight and sound.